The Edinburgh Palette community grows from within, as new residents settle themselves in the buildings, new projects arise and need space to develop and expand. By providing low-cost studio space, Edinburgh Palette becomes a vital incubator for creative businesses and community projects. This is where Edinburgh Palette project is so interesting, as it defines itself whilst the building fills up addressing the needs of the community and grows organically from within. Edinburgh Palette has developed an Arts Community Project to complement its business venture in the art world. 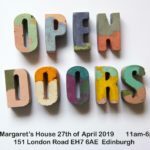 Funded entirely by Edinburgh Palette, the project is designed to make sense of the individuals, collectives and organisations working in the various buildings managed by the charity. 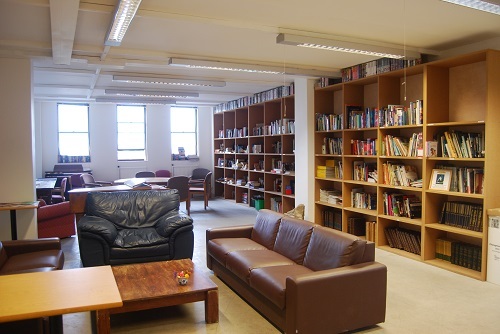 St Margaret’s House has a purpose-built reference library of books and other printed and visual media. The Library also doubles as a lounge area and is equipped with free Wifi, a hotdesk PC and tea- and coffee-making facilities. The St Margaret’s House Library was inaugurated following a generous bequest from Gregory Liam Foley (1969-2011). The collection is always expanding through the generosity of our supporters. If you have any unwanted volumes in need of a good home, you are encouraged to donate them to our collection. Donations of books, journal articles and DVDs are kindly received. 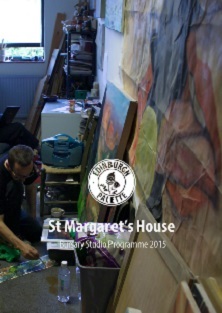 St Margaret’s House offers another three studio bursaries each year. These are designated for current or recently-graduated art students, matriculating in Edinburgh-based institutions or a wider area within Scotland. Running for three years, we have welcomed recent graduates from the Edinburgh College of Art and Gray’s School since this project began. Those involved in the programme are always selected upon merit from within the prospective art institutes and are offered studio and exhibition space, alongside additional help, guidance and access to the other facilities at St Margaret’s House. It is our way of investing in the future of Scottish art, as well as diversifying our own artistic community. More details are available in the document on the right. 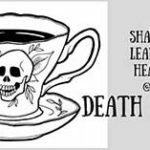 Click the cover image to download it.